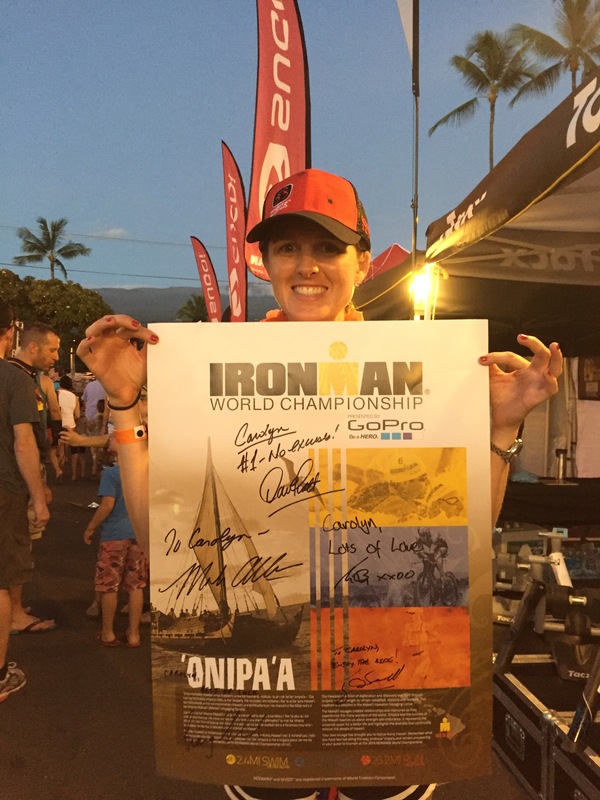 Ironman World Championship: Race Week in Kona! – Where's The Tofu? 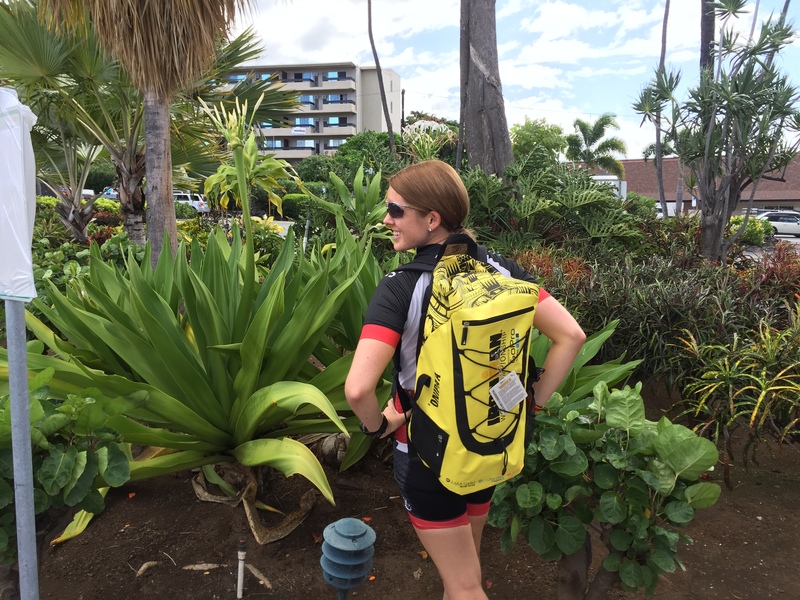 Kona Day 1 Recap: “from hola to aloha”. This place reminds me so much of Cozumel — humidity, wind, palm trees, Ironman week experience, ocean, my condo — that I keep wanting to say “hola!”. I even found the dried up rose that was given to us after IM Cozumel in my old suitcase! 🌹I had a blast in Cozumel so I’m glad the experience is feeling similar. 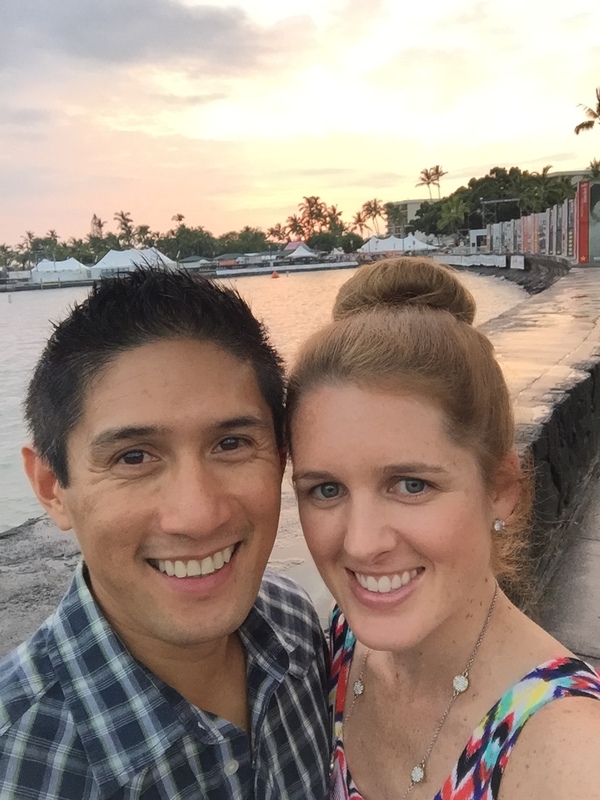 As for today, I arrived in Kona after a comfy flight full of books and cheesy movies (“The Longest Ride”). I picked up my tri bike which had magically been shipped across the ocean with TriBike Transport. I chatted it up with everyone around me. 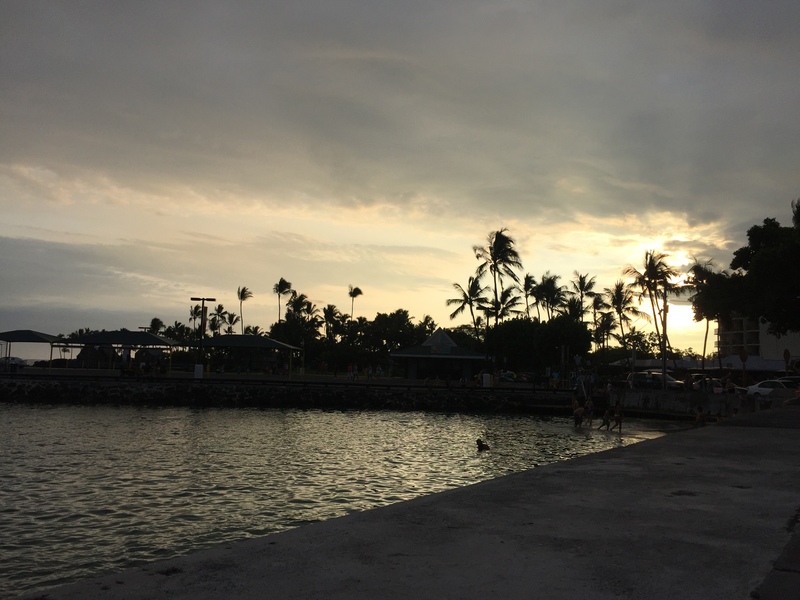 I walked around Kona. I had a delicious veg sandwich from Lava Java along with other compression-clad athletes. I went for a jog, swam with the fish, and watched the beautiful sunset over the ocean. I’m so ridiculously happy and grateful to be here and I can’t wait for the rest of this IRONMAN week! Everyone keeps talking about the “elements”: Heat and humidity, wind, swells, rain and hills. But it wasn’t until today, when I was able to experience them in my own training, that I truly became humbled by these forces Mother Nature brings to the big island. 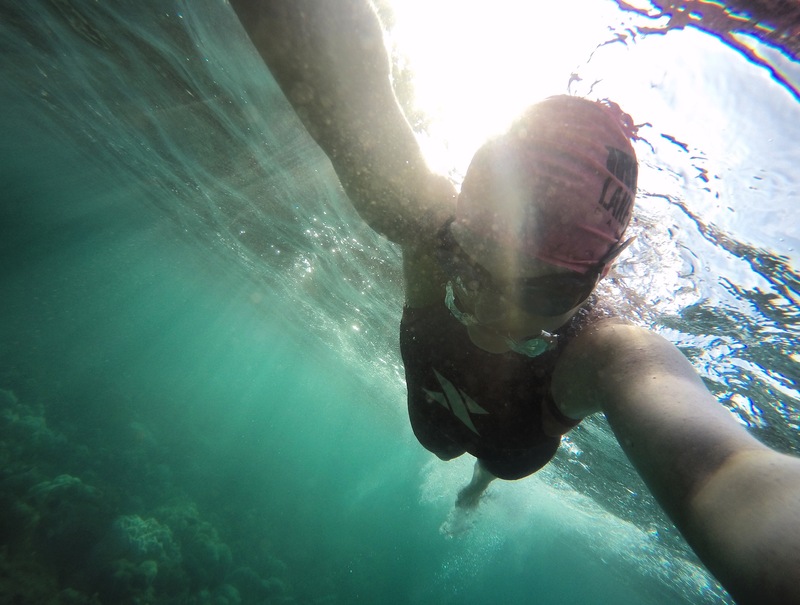 After a big breakfast and an even bigger Kona coffee I excitedly made my way down to the swim start (called “Dig Me Beach”) to practice. 🏊 There were a ton of athletes down there and the water looked beautiful. But after the first 200 yards or so the swells started to appear. I kept going. And 6 minutes later I had a moment of panic. I was being pounded by the waves, I felt all alone and nervous about the lack of support boats, and I felt the strong tide pulling me. In short, I was scared. So I turned around and swam back as fast as I could. What I learned is that there’s a tropical storm nearby and the waves and winds are stronger than normal. In fact, my Manta Ray snorkel excursion was canceled tonight due to the weather. For race day, I hope the presence of support boats will ease my mind, even if the swells persist. 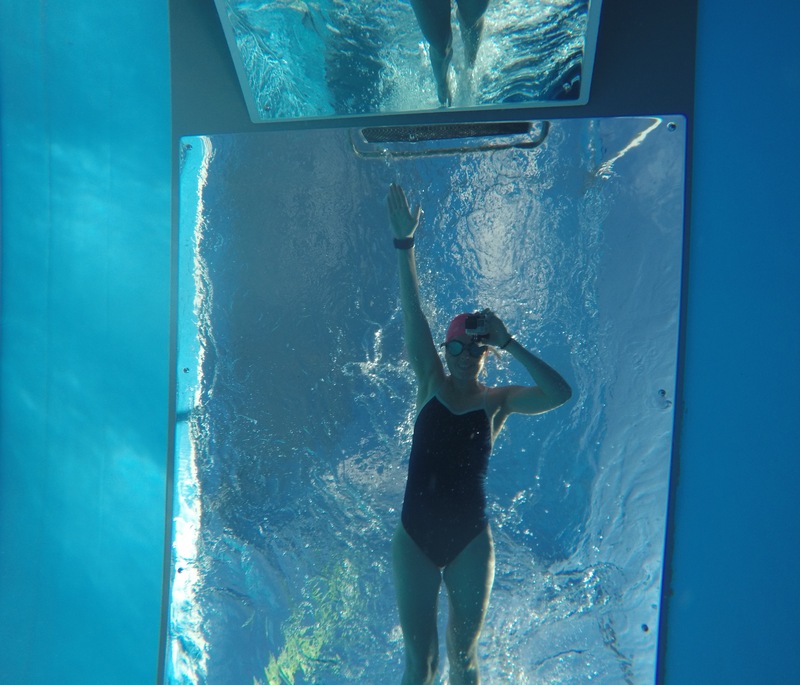 One thing’s for sure… this is going to be the hardest swim ever. After the short ocean swim I stumbled upon the friendly Endless Pool folks and they asked if I wanted to swim. “Yes!! But how much does it cost?” “Cost? It’s free! In fact, we pay YOU in free samples and coffee!” Done. ✔ It was so much fun. Way better than the ocean! 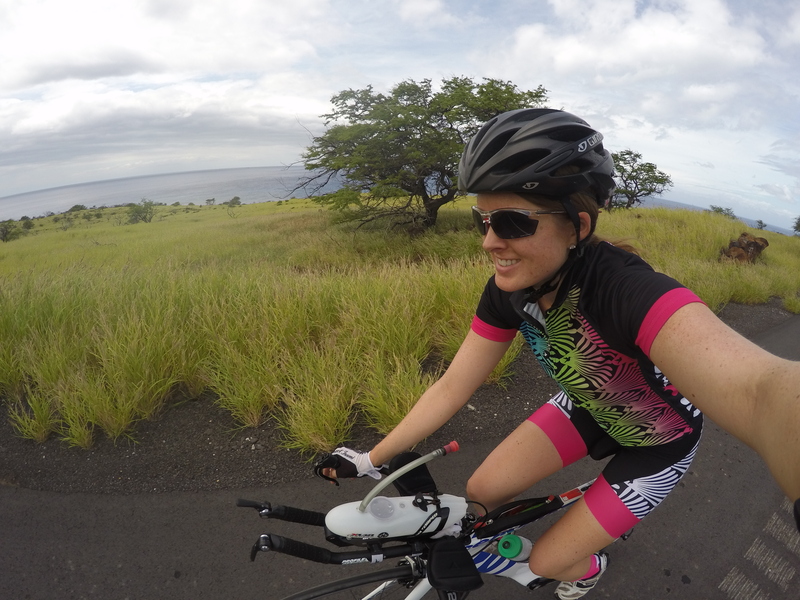 I then went out for a 2+ hour bike ride on the North part of the bike course to Hawi. 🚴 The winds were strong and unpredictable. For every headwind there’s a tailwind, but for every crosswind there’s just more crosswind. It was challenging and slow. This isn’t going to be an easy bike ride! For dinner I met up Kristin Bradfield, another IMLT lottery winner and a true competitor and inspiration. We originally met through the power of social media so it was fun to finally meet in person! In short… Today was tough. I’m extremely humbled by the ocean and winds and it’s clear this is going to be an epic challenge. But I’m packing my positive attitude and will tackle the course the best I can on Saturday. Nothing can get between me and that finish line!! The day started off per usual with a 7am swim at Dig Me Beach with a growing number of triathletes from all around the world. 🏊 I was determined to get back out there, stay calm, and have a better swim than yesterday. And I definitely did! The conditions improved dramatically and I wasn’t getting pummeled by swells. I’m crossing my fingers that race day is more like today! But as I always say…prepare for the worst but hope for the best. 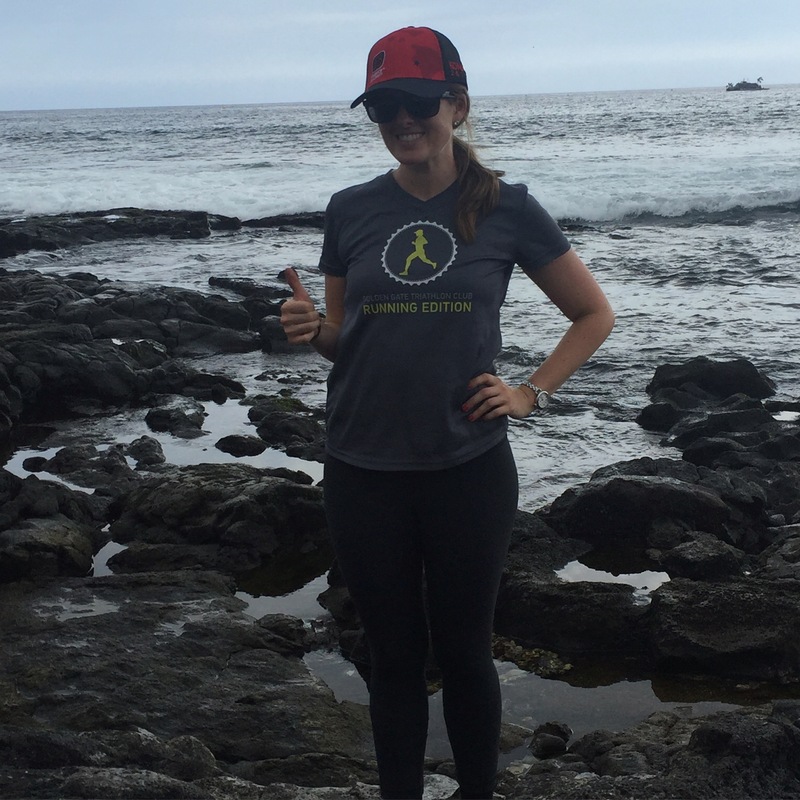 After a swim I went for a 30 minute run along Ali’i drive. 🏃 I felt strong, happy, and definitely sweaty! I saw my idol Hilary Biscay out there and a whole slew of fast and fierce triathletes. 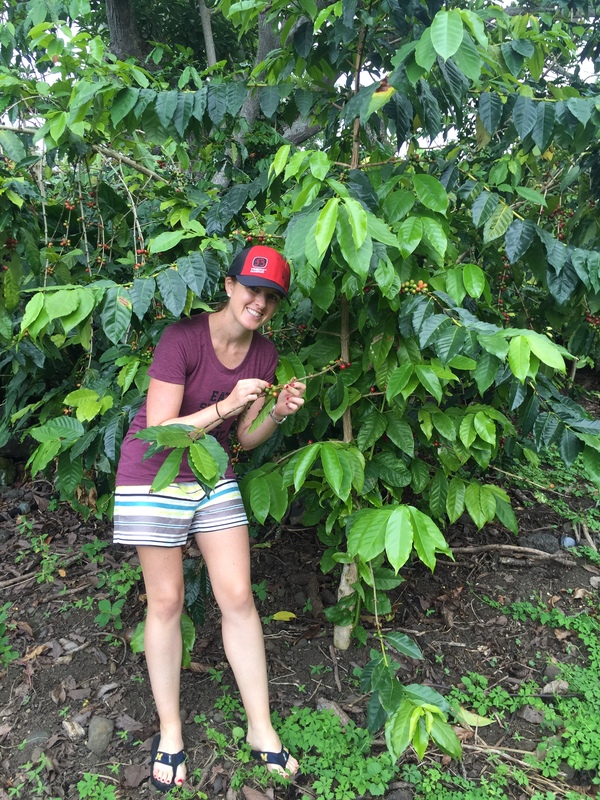 I visited 2 coffee farms for tastings and tours then did a nighttime manta ray snorkel. So fun!!! After the coffee tours I went to the nail salon and had so much fun laughing and chit chatting with everyone around me. The people on this island are so friendly, welcoming, hilarious and full of passion! I heard a lot of stories of people moving from big cities with big careers to Hawaii for a more laid back lifestyle. Not a bad life out here, that’s for sure. The highlight of the day was doing the nighttime snorkel with manta rays. This was part of my plan to become more comfortable in the ocean and try to overcome my race day open water fears. 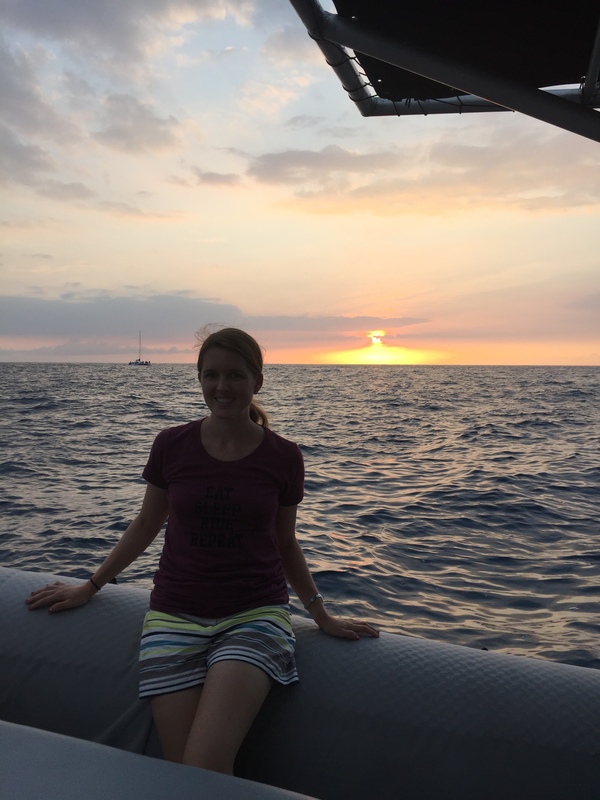 The idea of riding in a small boat 30 minutes out in the choppy ocean at night so I can swim with large creatures was admittedly very freaky for me. But it was SO much fun and I felt totally relaxed the whole time. 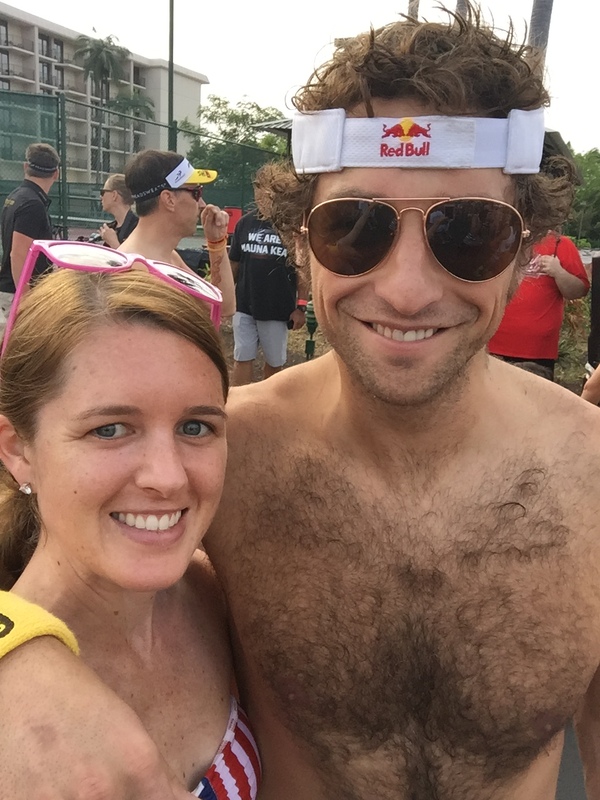 I met another triathlete and more friendly people and we had a blast! I took some GoPro video and will share it this week. Triathlon is such a unique and passionate sport for a lot of reasons. But what I love is the accessibility of the the pro athletes. Not only do we get to compete on the same day and course as them, but they’re also hanging out at the expo like normal people happy to chat and sign autographs. No crazy lines, security guards or fees involved! What other sport can you say that about!?! Tonight I got to meet triathlon legends, past and present: Dave Scott, Mark Allen (subjects of the book I’m reading right now! ), Tim O’Donnell, Luke McKenzie, Hillary Biscay, Sebastian Kienle, and Craig Alexander. It was AWESOME! 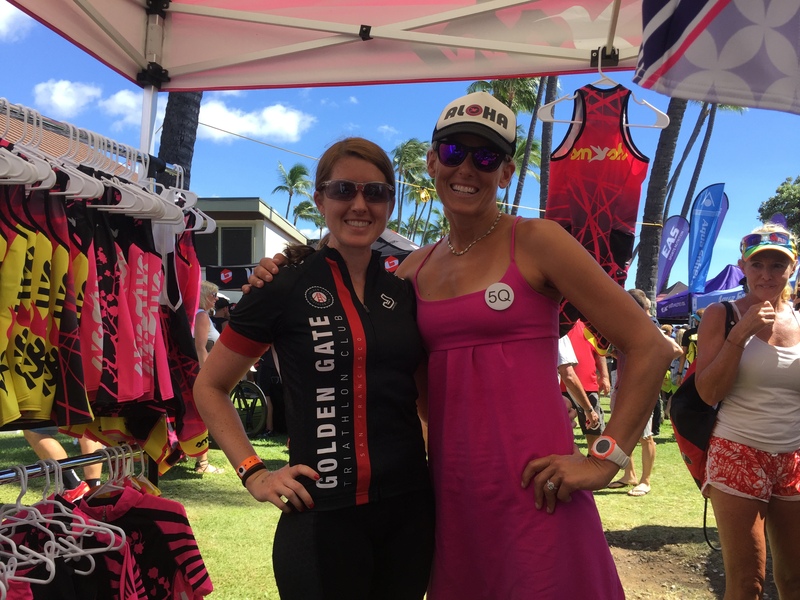 Hillary Biscay is the “queen” behind my favorite Smashfest Queen tri brand, subject of an old blog post of mine, and someone I’ve been dying to meet for a long time. I was giddy and so thrilled to meet all of these inspiring people in person. They gave advice about the course, words of encouragement, and huge smiles. Loved it all! As for the rest of the day… it started out with a 45 minute swim in the normal spot (Dig Me Beach) which included lots of Budgy Smuggler sightings and a trip to the coffee boat. Yes, the coffee boat!! It’s one of the most fun activities during Ironman race week. You basically swim out ~15 minutes to a yellow catamaran boat and someone gives you a cup of hot coffee that you can sip. 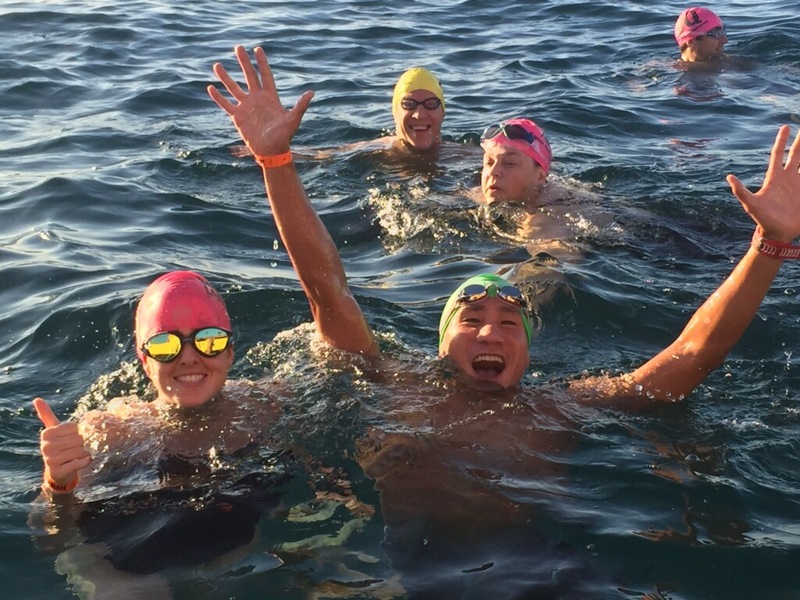 It’s a fun and social activity and good motivation to get out in the water! After a short bike ride and pre-race bike rune, I officially checked-in for the race. I got my bib number, race bags, timing chip, tons of free samples, and a very large backpack. 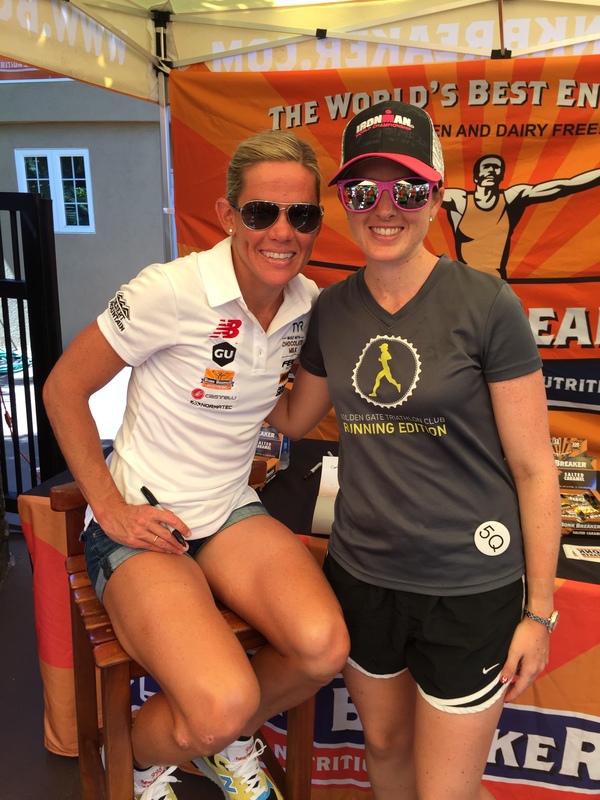 I, once again, was giddy with excitement and had so much fun meeting other athletes. It’s all happening!! In the evening I watched the Parade of Nations which is where athletes divide into their home countries and march down Ali’i Drive with their flags. 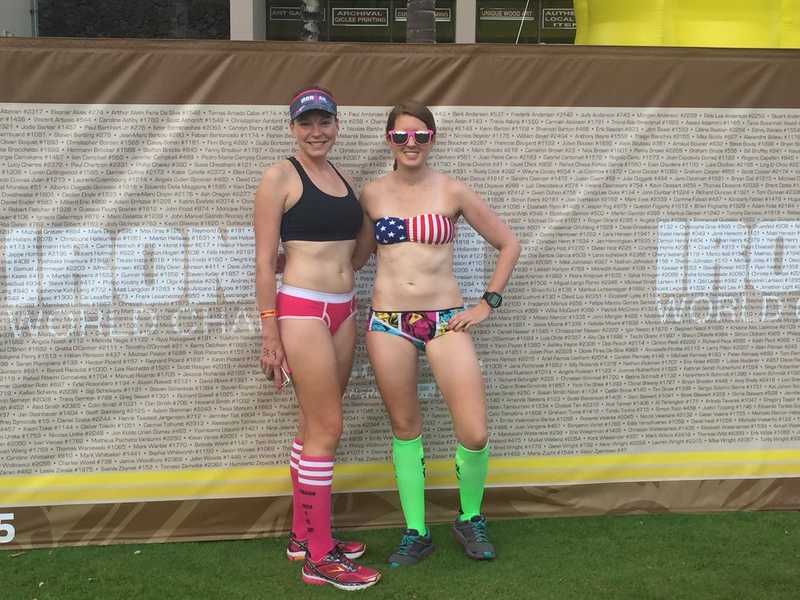 It was so incredible to see how many different countries are represented here in Kona. This is truly a global event! I asked one of the South Africans how long her flight was and she said “3 days!”. I also met up with Bryan, another gamer/triathlete who also got in through the IMLT lottery. We walked around the expo and had dinner downtown. Fun evening! 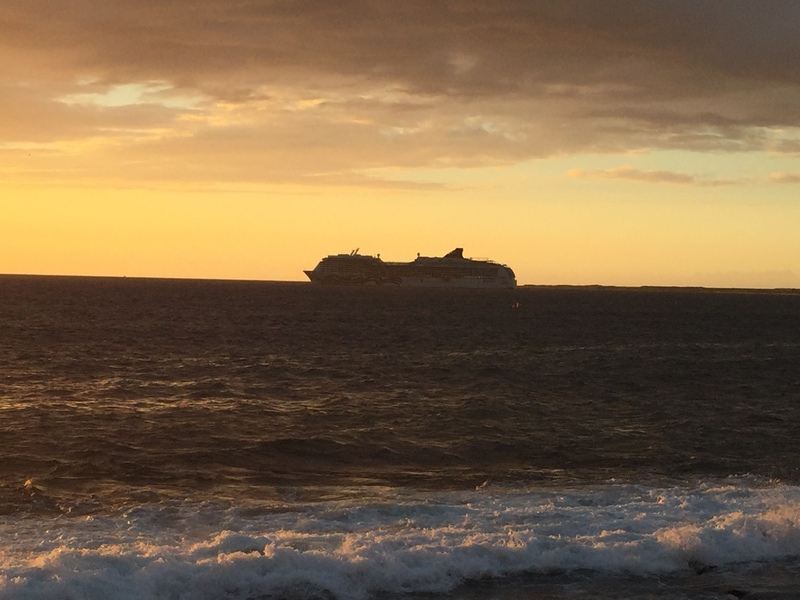 It was a beautiful day in Kona with another swim to the popular coffee boat, a quick run, more pro sightings, dinner with my parents who just arrived, and lots of calm, relax time. Today started out with the annual 1 mile Underpants Run. It’s a chance for triathletes to get creative with outfits and strut their stuff, all in the name of charity. There were some seriously ripped people out there, wow. I “ran” with Kristin Bradfield aka “Pie Lady” and I’m pretty sure we laughed the entire 1 mile. What a fun and silly event! I picked up Mark from the airport and got ready to meet my parents and brother Michael Rohde at the Athlete Banquet. 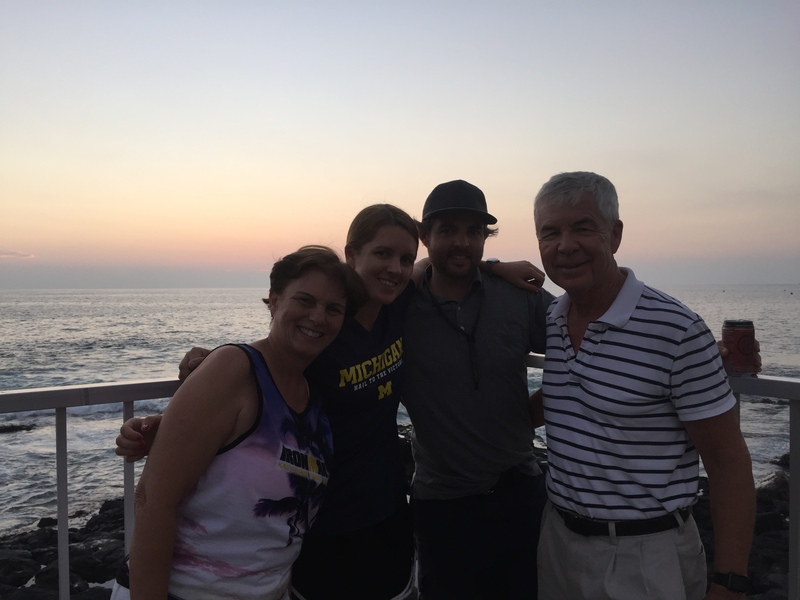 I’m so happy to have Mark and my Ohana (“family” in Hawaiian) here to support me in this Ironman adventure. It’s a long way to come and I appreciate the signs, cheers, and support. Mahalo to my Ohana!! The Athlete Banquet was full of traditional Hawaiian dances, speeches from former champions, inspirational videos, and an education in the word Onipa’a (“strength and resilience”). I left the banquet feeling incredibly inspired by the stories, the history behind this particular race, and the passion each person brings to Kona. They did a good job highlighting the rise of women in the sport, but the irony is that Ironman only allows 35 pro women but 50 pro men in this race. It should be equal 50/50!! Kona Day 7 Recap: I’m ready ✅✅✅ 2.4 mile swim, 112 mile bike, 26.2 mile run. Here we go!! It’s the night before the big race and butterflies are fluttering in my stomach. This is always the hardest part of the race; the anticipation. I know once I hit the water at 7:10am I’ll know exactly what to do for the rest of the day. But I’m nervous, excited, grateful and inspired. 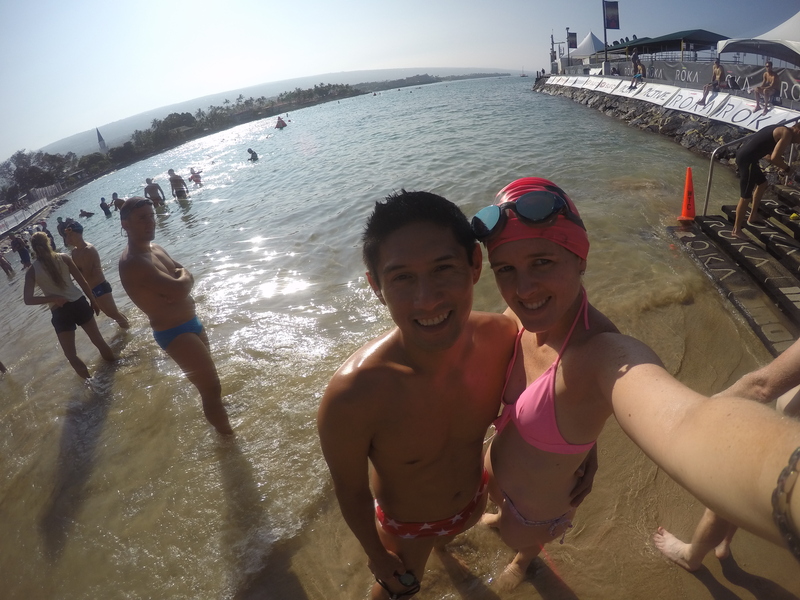 I just still can’t believe that I’m here in Kona for the World Championship. It’s a dream come true and I’m soaking in every single moment. I’m so happy!! And I’m especially happy that Michael Rohde, Mark Bollozos and my parents are here to support me! Tomorrow is going to be a true test of strength, resilience, patience and mental toughness. It’s not going to be easy but I’ve put in the hard work and I feel as ready as I possibly could be. 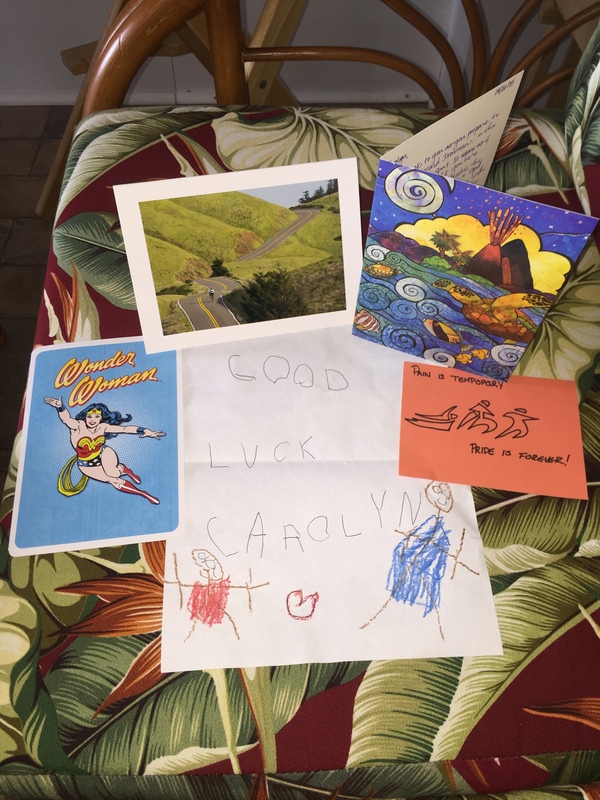 My dear friend, April Hill said it very well so I’m going to summarize… It seems as if every triathlon experience has brought me here. 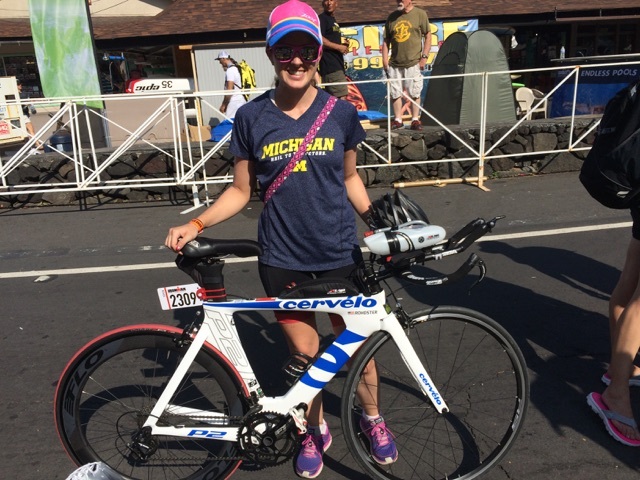 Lavaman, my very first tri in 2013 with Team in Training, brought me to Hawaii. The cancellation of Tahoe landed me a Kona slot. 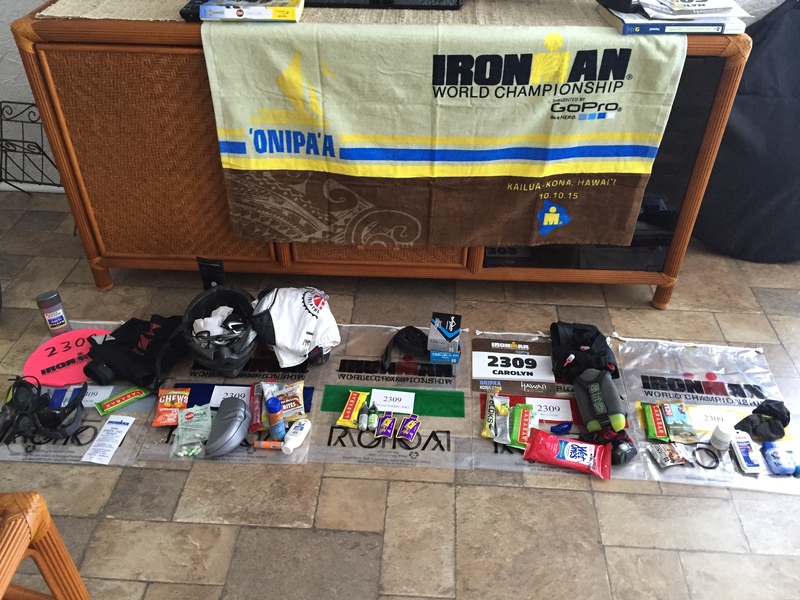 And racing Ironman Cozumel prepared me for the elements of Kona. These experiences have shaped and enhanced my passion for this sport. 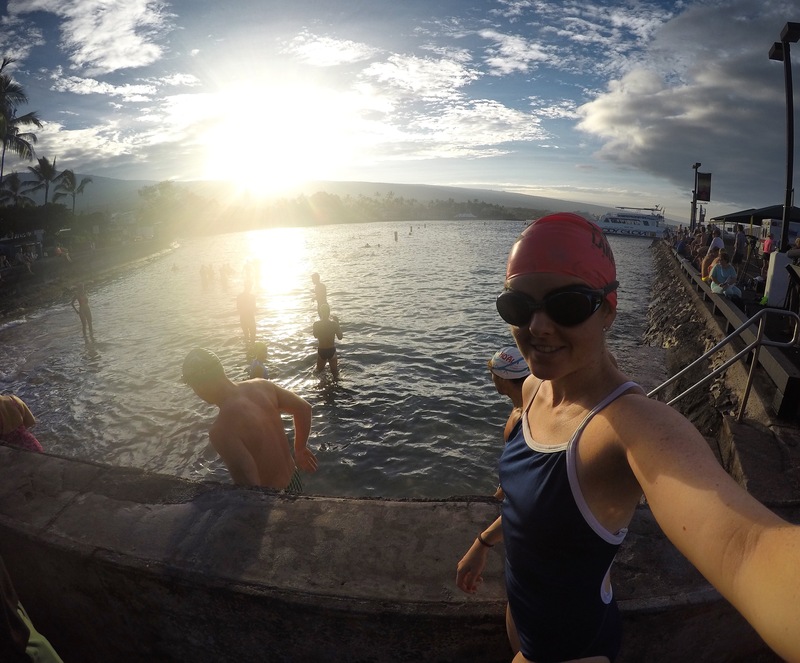 Being here in Kona this week has been sort of a fantasyland — like the Super Bowl for triathletes. 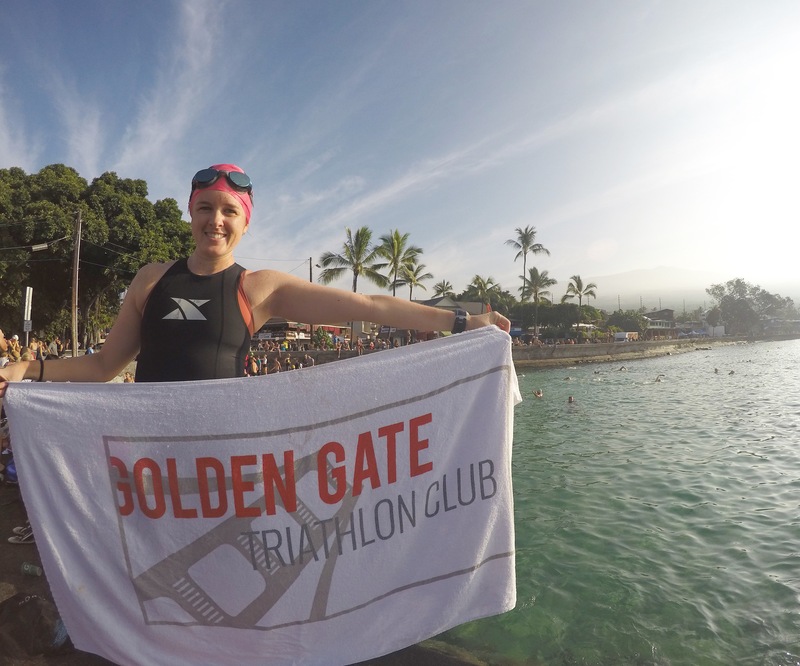 Sure it’s been fun meeting pros, but even more inspiring has been meeting age groupers, challenged athletes, parents of athletes, and the locals. I couldn’t believe that this race has more than 5,000 volunteers, athletes spanning ages 19 to 85 hailing from over 60 countries around the world. Incredible! To recap the day, I’ll let the photos tell the story. 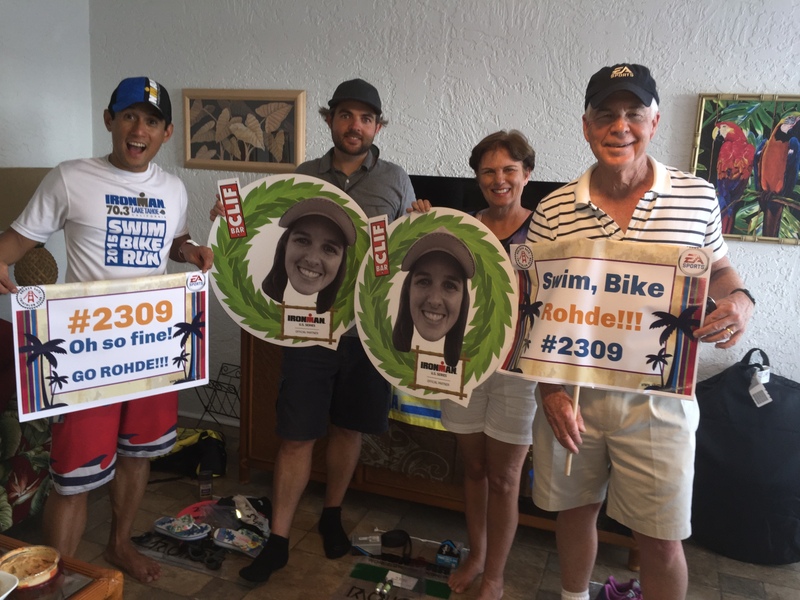 But basically Mark went for a swim, my parents and brother cruised around the Ironman Village, I had a final pep talk from coach Duane Franks, dropped off my bike down the red carpet, and had dinner with my family. My goal for tomorrow is to have fun and finish strong. If you would like to track me the best place is Ironman.com and simply search for “Rohde”. Thanks for the good vibes and kind words everyone. I appreciate every single note and will carry those words with me tomorrow. Mahalo. 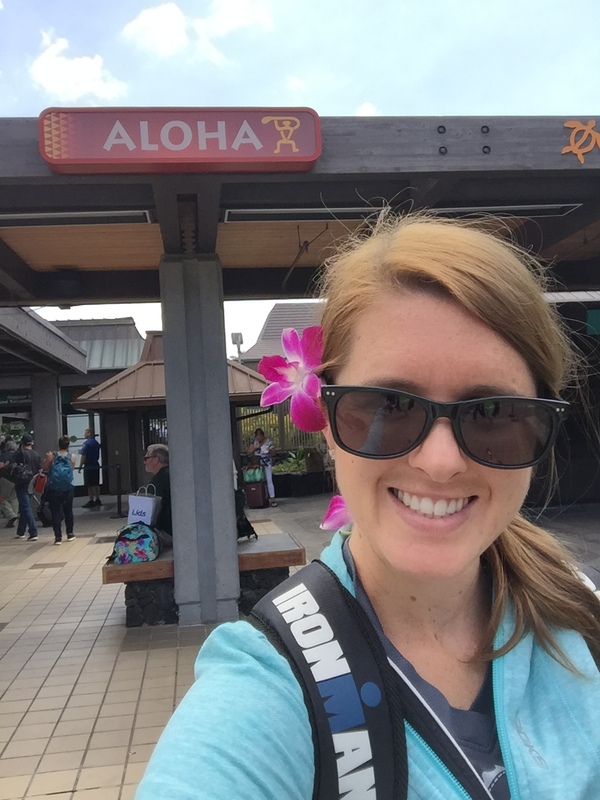 Pingback: Peace, Love and Kona: 2015 in Review | Where's the Tofu?